Breaking Through With Georgiann » Blog Archive » The 30-Day Diabetes Cure! Every 10 seconds someone is diagnosed with diabetes making it the most wide-spread disease in human history. Current medical research proves that diabetes is totally reversible and curable without drugs without painful finger pricks and without the threat of blindness amputation and other frightening side effects of diabetes. As the most prevalent disease in Western medicine, diabetes accounts for almost 40% of Dr. Stefan Ripich’s practice. 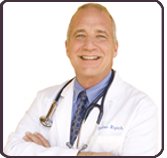 Known as the go-to guy for Santa Fe, New Mexico area diabetics who want to get off their meds and cure their disease, Dr. Stefan Ripich, ND, ANP, has been a licensed clinical practitioner for more than 20 years. Currently, he combines both naturopathic and allopathic training in a practice – The One Medicine — founded on the principle of the body’s amazing power to heal itself. Over the course of his long career, he has treated thousands of patients, a large percentage of whom have had diabetes. He sought to combine the proven scientific findings that Type 2 diabetes – the most common kind – is totally treatable, with his naturopathic training that uses a holistic approach, giving patients a simple, easy-to-follow, step-by-step system to heal themselves. Dr. Stefan Ripich will discuss his foolproof approach of adding or subtracting just one simple thing each day to completely reverse Type 2 diabetes and prediabetes while dramatically reducing insulin and other medications for people with Type 1.